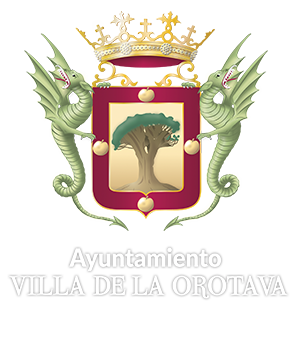 Villa de La Orotava with an extension of 218.9 square Kilometres, of which 100 square Kilometres comprise the population centre and the rest consist of green areas and a National Park, offers its visitors an authentic paradise for the enjoyment of hiking. Its altitude ranges from sea level to 3,717 m. (town centre at 353 m.) which makes of it the municipality with the greatest slope of all Spain. Nestled in the centre of the island of Tenerife and in the very heart of the famous Orotava Valley, it is a permanent call to contemplation. Its original geography offers the traveller the wonderful sight of one of the most beautiful corners of the Earth. * Mount Teide National Park: it is the best sample of high mountain volcanic ecosystem of all the Canaries. It also includes hydro-petric and underground endangered habitats, among other, which, due to their geographical situation and altitude are seasonally affected, with different intensity, by periods of snowfall that contribute to maintain essential ecological processes such as the recharge of aquifers. Its unique endemism-rich flora includes a dozen endangered species, and invertebrates have exclusive forms of which only a few specimens are known. From a geomorphological perspective, the whole structure of the caldera and the great Teide Pico Viejo stratovolcano are of international relevance, but there is also a great variety of elements in the form of pitons, caves and domes, which increase the scientific interest and the spectacular character of this area. The landscape of the park is the most shocking one on the island and constitutes a powerful attraction for the millions of tourists who visit it annually. * Pinolere Integral Natural Reserve: it comprises a slope with interesting communities of rock flora, where there also are endangered and protected species such as tajinaste (Echium giganteum) and peppermint (Bystropogon plumosus). It is also a natural and well preserved characteristic habitat of the Canaries. On the less inclined slopes, where the arboreal vegetation is set, the area contributes to maintaining ecological processes through the protection of soils and the recharge of the aquifer. * Corona Forestal (Crown-shaped forest) Natural Park: It is a forest area that surrounds the Mount Teide national park, where the best samples of pine forest and high mountain vegetation of Tenerife are to be found. In this area we can see the headwaters of a good part of the ravines that form the drainage network of the north and south of Tenerife, reason why it exerts an outstanding role in water harvesting and the protection of floors from erosion. * Teide Natural Monument: it is an emblematic element of great scientific interest. Noteworthy are its particular geomorphological characteristics that define a landscape of great beauty, making of it a reference landmark of the territory it occupies. It also counts with a representative sample of wind habitats, with exclusive species such as Teide violet. * La Resbala Protected Landscape: the southern half of the protected area is a natural landscape, more or less preserved with endemic species of rock of great value and covered with pines, while the northern half is a transformed landscape with a rural character. The presence of interesting rock flora communities, with endangered and protected species, raises the scientific and conservation interest of the area. * Acentejo Coast Protected Landscape: this space contains an exceptional beauty derived from a cliff and an abrupt landscape of high aesthetic value; it constitutes a unique geomorphological element, representative of the north coast of the islands. It also has an outstanding scientific interest due to the presence of endangered and protected species of both fauna and flora. In some sectors it becomes a place of special importance due to the presence or nesting of some species.